The Washington Times published my review of Blue-Collar Conservatism: Frank Rizzo’s Philadelphia and Populist Politics. In 2017, while there was a national campaign to tear down the statutes of Confederate soldiers and historical figures deemed racists by the left, some Philadelphia politicians and left-wing activists demanded that the City of Philadelphia remove the 10-foot-tall statute of former Police Commissioner and Mayor Frank Rizzo from in front of the city’s Municipal Services Building. Frank Rizzo’s supporters rallied to keep the statue in place, and the current mayor, Jim Kenney, stated that he was looking into moving the statue to another location, possibly to South Philadelphia, where Frank Rizzo was born and raised, and where many of his supporters live, work and vote. Today the statute remains in front of the Municipal Services Building. Frank Rizzo, who rose from beat cop to mayor, was a controversial figure with fervent supporters and detractors, and he remains so years after his death. The larger-than-life Frank Rizzo was a big man physically, at 6‘2 and 250 pounds, and he loomed large as a personality as a tough and aggressive cop in the 1950s and early 1960s, known then as the “Cisco Kid,” and as the police commissioner in the late 1960s. 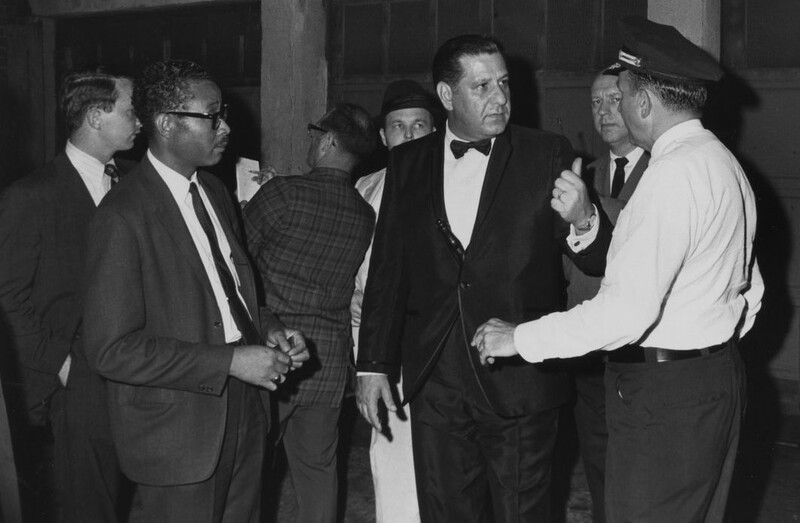 A famous 1969 photo of Frank Rizzo shows the commissioner, who left a formal event to respond to a violent incident, in a tuxedo with a nightstick jammed into his cummerbund. 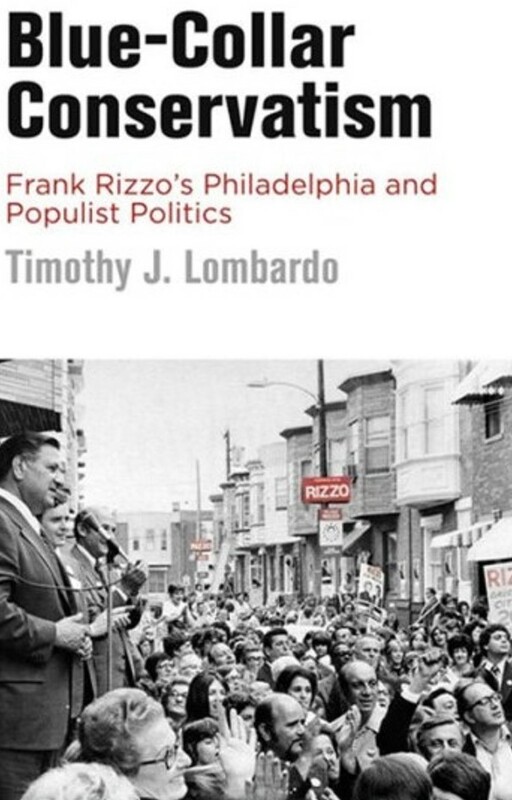 Timothy J. Lombardo, who teaches history at the University of South Alabama, offers a look back at Frank Rizzo’s life and times in “Blue-Collar Conservatism: Frank Rizzo’s Philadelphia and Populist Politics.” Mr. Lombardo opens the book with a passage about the time Frank Rizzo visited South Philadelphia during his first campaign to become mayor. The South Philly native attended a Columbus Day free concert that became a spontaneous pro-Rizzo rally. “Despite his warm welcome in South Philadelphia, Francis Lazaro Rizzo was one of the most controversial figures in the city’s history,” Mr. Lombardo writes in his introduction to the book. “As a young man, long before his entrance into politics, the son of Italian immigrants dropped out of high school and followed his father’s footsteps into the Philadelphia Police Department. He quickly earned a reputation as one of the toughest cops on the force. Rising through the ranks in rapid succession, he earned the department’s highest post in 1967.